For centuries, the hallmark of a real man was the size of his beard. Somewhere along the way, facial hair suddenly stopped being popular, and instead of sporting an impressive facial mane, men would engage in the painful daily grooming ritual of scraping a sharp blade across their face in order to remove their manliness. Some men still retained a nod to their status as no-longer-boys by keeping a moustache, but despite a few eras of resurgence, the full beard has been cast out as the stepchild of male facial adornments. The current resurgence in facial hair is largely to blame on the global outbreak of hipsterism. These faux lumberjacks, with their plaid shirts, waxed moustaches, and heavily scented and oiled beards, have made it both popular and a bit embarrassing to sport a full beard again. 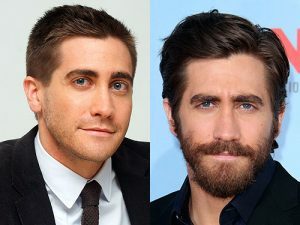 Although there are a handful of men who display the most impressive facial hair growth, there is also a good number of men who don’t have much more than a few patches here and there. Terrible fashion statements aside, there is a kind of rugged timelessness to the appearance of a man with a beard. In fact, one could also argue that a man has never fully embraced his manliness until the day he starts growing his beard. Many men are hesitant to give free reign to their whiskers, fearing the initial itchy stages of hair growth. It is very common for men to give up the fight at around the two-week mark, but this is a big mistake. If you can survive three to four weeks, the itch will become less, and you will start to look more like a man with a beard, and less like a man who forgot to shave. Regardless of whether beards are fashionable or not, just remember that men are hairy, and boys are not. Are you a man or a little boy?